The Marine Corps is adopting a new precision sniper rifle to increase the lethality and combat effectiveness of scout snipers on the battlefield. 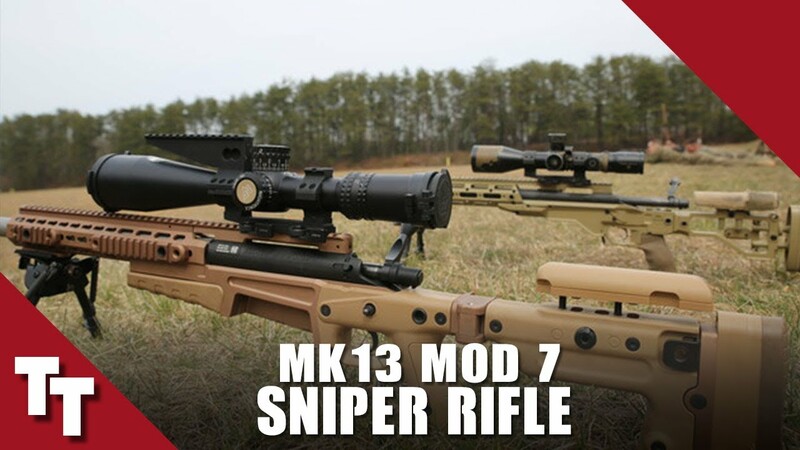 The Mk13 Mod 7 Sniper Rifle is a bolt-action rifle that offers an increased range of fire and accuracy when compared to current and legacy systems. It includes a long-action receiver, stainless steel barrel, and an extended rail interface system for a mounted scope and night vision optic. The Mk13 is scheduled for fielding in late 2018 and throughout 2019. Units receiving the Mk13 include infantry and reconnaissance battalions and scout sniper schoolhouses. This weapon is already the primary sniper rifle used by Marine Corps Forces Special Operations Command, or MARSOC. Fielding the Mk13 ensures the Corps has commonality in its equipment set and Marine scout snipers have the same level of capability as North Atlantic Treaty Organization forces, said Master Sgt. Shawn Hughes from III MEF. The Marine Corps identified a materiel capability gap in the maximum effective ranges of its current sniper rifles. After a comparative assessment was conducted, it was clear that the Mk13 dramatically improved scout sniper capabilities in terms of range and terminal effects. The 3rd Battalion, 5th Marines Scout Sniper Platoon used the weapon for over a year (including during a deployment) in support of the 2025 Sea Dragon Exercise. Feedback from MCSC’s assessment, MARSOC’s operational use, and 3/5’s testing of the weapon system led to its procurement of the Mk13 for the Corps. The Mk13 increases scout snipers’ range by roughly 300 meters and will use the .300 Winchester Magnum caliber round, a heavier grain projectile with faster muzzle velocity—characteristics that align Marine sniper capability with the U.S. Army and Special Operations Command. "The .300 Winchester Magnum round will perform better than the current 7.62 NATO ammo in flight, increasing the Marine Sniper's first round probability of hit,” said Chief Warrant Officer 3 Tony Palzkill, Battalion Gunner for Infantry Training Battalion. “This upgrade is an incredible win and will allow snipers to engage targets at greater distances." The Mk13 will also be fielded with an enhanced day optic that provides greater magnification range and an improved reticle. “This sniper rifle will allow Marines to reengage targets faster with precise long-range fire while staying concealed at all times,” said Sgt. Randy Robles, Quantico Scout Sniper School instructor and MCSC liaison. MCSC completed New Equipment Training for the Mk13 with a cross section of Marines from active-duty, Reserve and training units in early April. In a time where technology, ammunition and small arms weapon systems are advancing at an increasingly rapid rate, it is extremely important to ensure the Marine Corps is at the forefront of procuring and fielding new and improved weapon systems to the operating forces, said Gillikin. “Doing this enables the Corps to maintain the advantage over its enemies on the battlefield, as well as to secure its trusted position as the rapid crisis response force for the United States,” he said.